Evince Development is a small team of designers and ASP.NET developers, with a wide range of skills and experience. 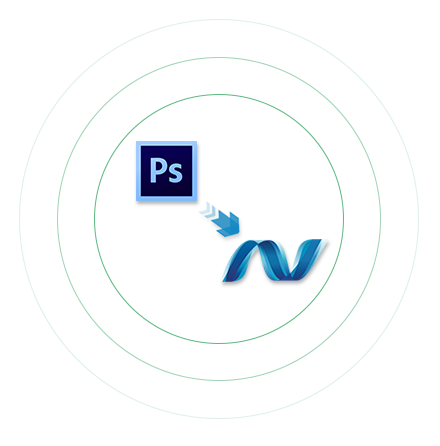 We came together with one simple objective to offer professional PSD to ASP.NET Conversion service at affordable price. We combine expertise in eye-catching graphic layout with modern web design standards built into one of the most powerful systems in the world. If you are in need of hiring for Dot Net Development or ASP.Net Developers in USA using .Net Framework, we will provide you the best solution with our proficient team of developers. We offer Microsoft .net consulting and development services for various business models. PSD to ASP.Net conversion is as easy just like others. Because of its easy user interface and excellent eCommerce features makes its widely popular platform. When we integrate appealing design layouts with well-structured code, it can increase traffic to your site and thus sales. PSD to Dot Net conversion services are fully compatible applications running on .Net platform. We have programmers who are qualified and technically sound and they can offer you all PSD to ASP.NET conversion services. We offer you multilingual websites so that your business grows globally and multiple payment gateway options as well to make things easier both for you and your customers. Comes with responsive view to be compatible across browsers and platforms. Conversion from PSD to ASP.Net ensures uniformity in layout, font and style.